By Albert Bonsfills and Jeremy Lee. 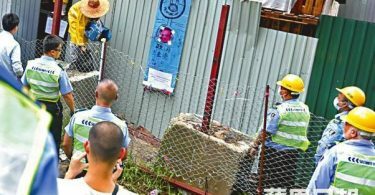 The Tuen Ng festival gets bigger and better every year. 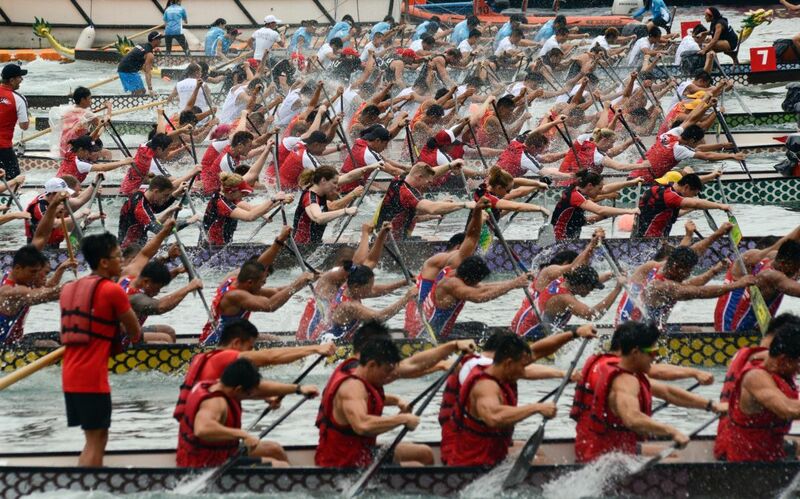 Last Thursday was no exception as Hong Kong marked four decades of its international dragon boat race festival. 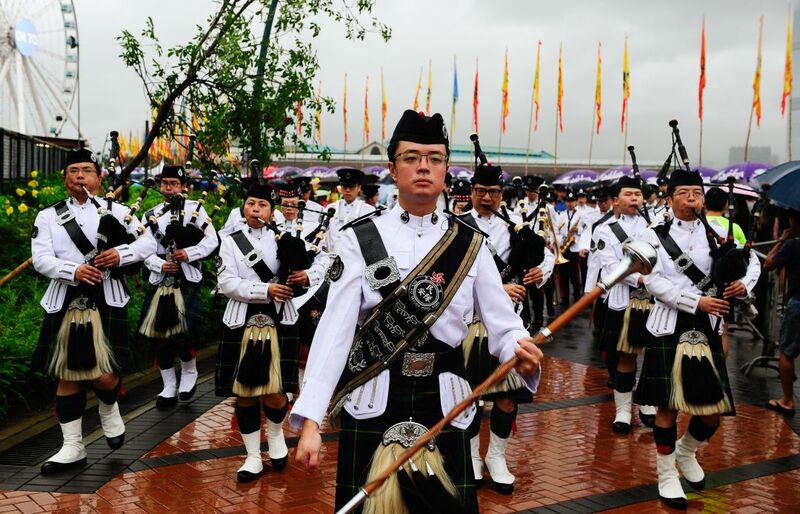 A marching band performs during the festival. 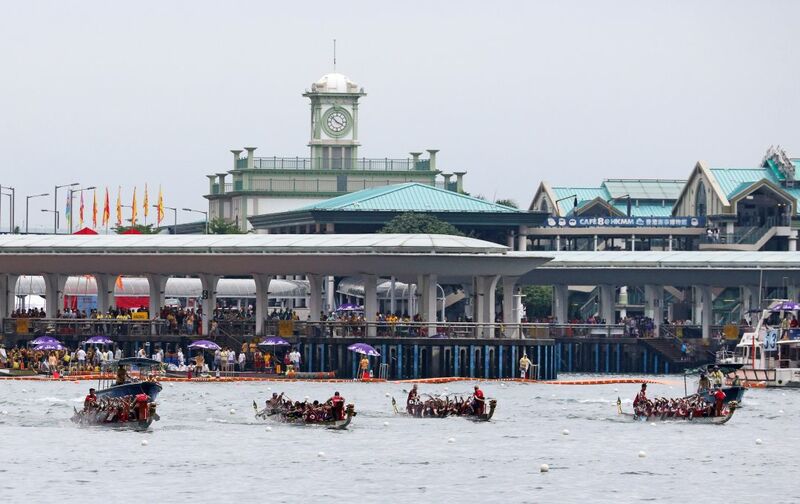 Hong Kong celebrates the Dragon Boat Festival with three days of races and parties as part of the 40th anniversary of international dragon boat racing. Photo: REUTERS/Albert Bonsfills. Competitors in action during the race. 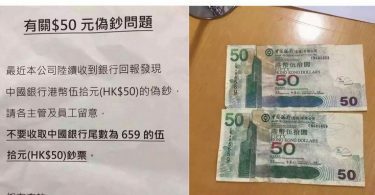 Hong Kong celebrates the Dragon Boat Festival with three days of races and parties as part of the 40th anniversary of international dragon boat racing. Photo: REUTERS/Jeremy Lee. 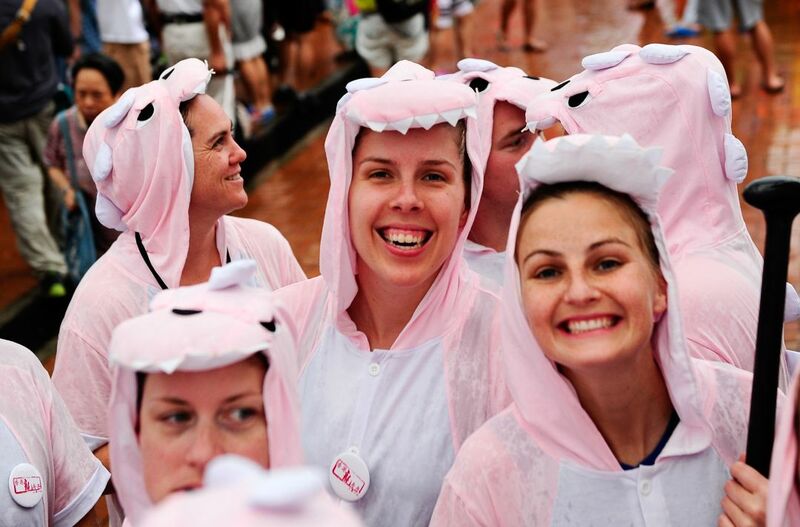 Competitors from the fancy dress competition pose for a picture. 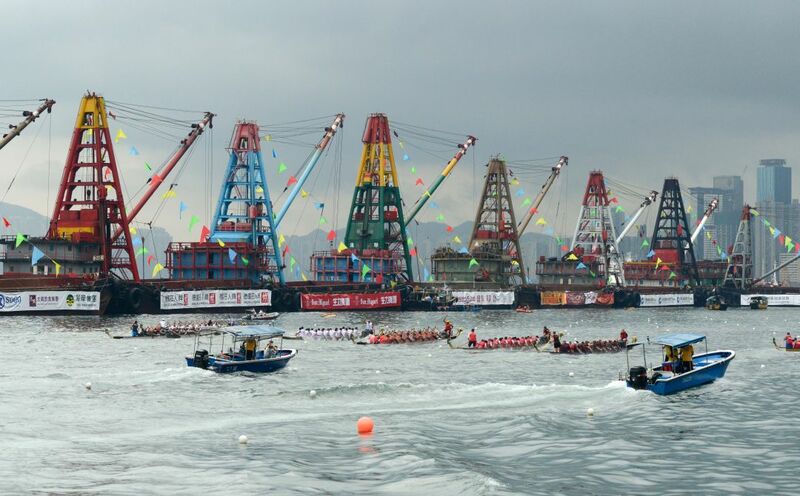 Hong Kong celebrates the Dragon Boat Festival with three days of races and parties as part of the 40th anniversary of international dragon boat racing. Photo: REUTERS/Albert Bonsfills. The silver medallists of the fancy dress competition celebrate. 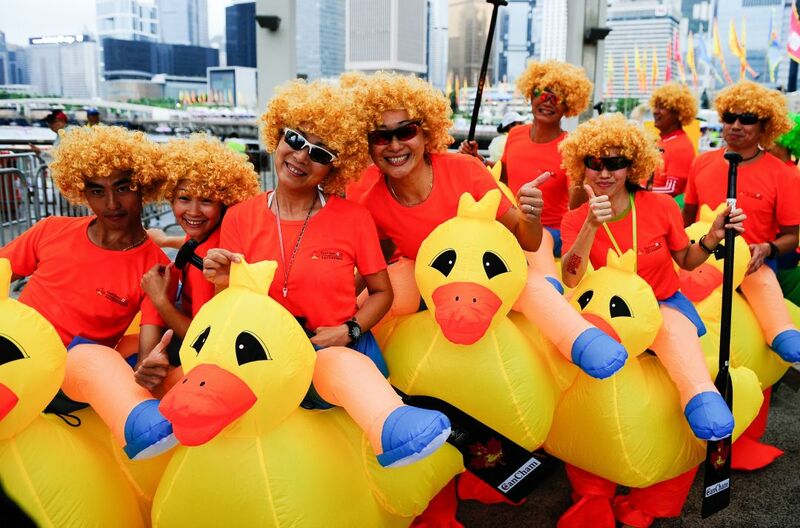 Hong Kong celebrates the Dragon Boat Festival with three days of races and parties as part of the 40th anniversary of international dragon boat racing. Photo: REUTERS/Albert Bonsfills. Competitors in action during the race. 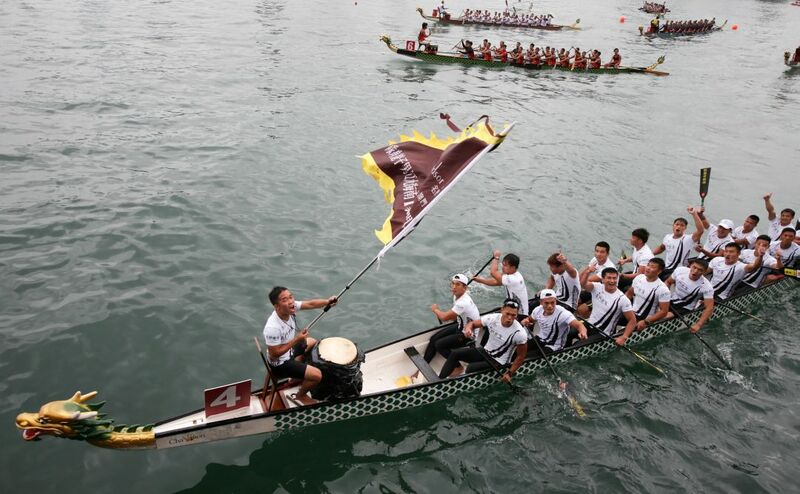 Hong Kong celebrates the Dragon Boat Festival with three days of races and parties as part of the 40th anniversary of international dragon boat racing. Photo: REUTERS/Albert Bonsfills. Competitors play around before the trophy presentation. 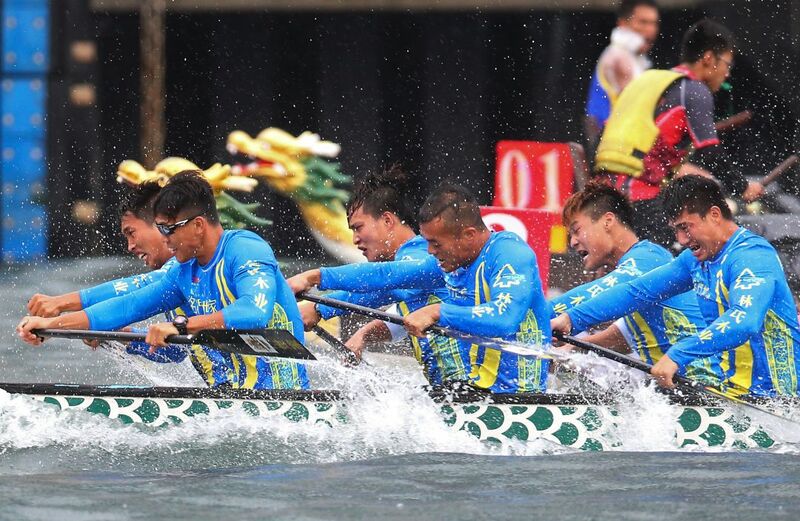 Hong Kong celebrates the Dragon Boat Festival with three days of races and parties as part of the 40th anniversary of international dragon boat racing. Photo: REUTERS/Albert Bonsfills. General view of competitors in action during the race. 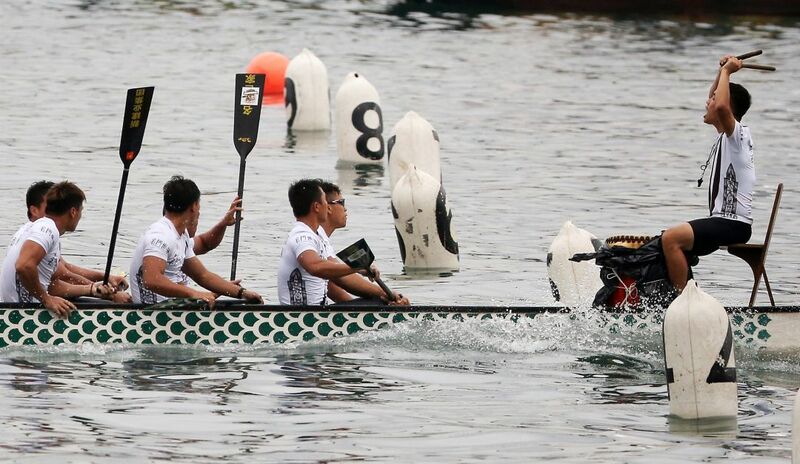 Hong Kong celebrates the Dragon Boat Festival with three days of races and parties as part of the 40th anniversary of international dragon boat racing. Photo: REUTERS/Albert Bonsfills. Performers dancing during the festival. 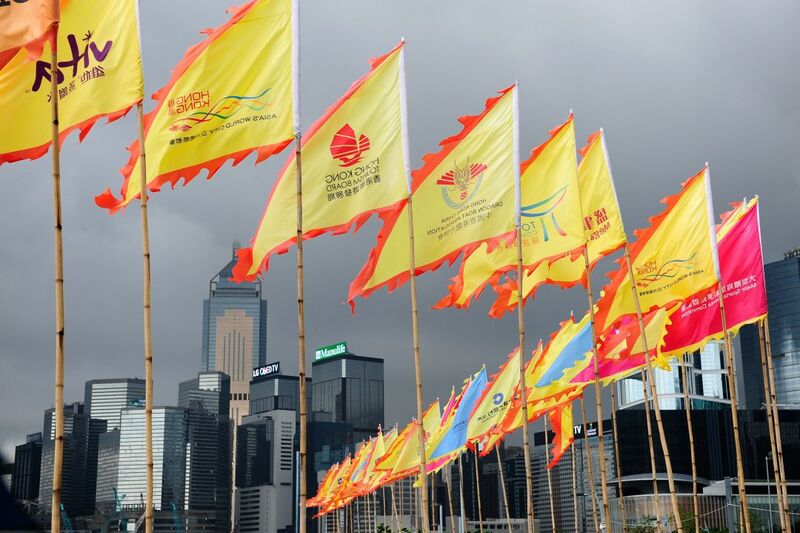 Hong Kong celebrates the Dragon Boat Festival with three days of races and parties as part of the 40th anniversary of international dragon boat racing. Photo: REUTERS/Albert Bonsfills. Competitors in action during a race. 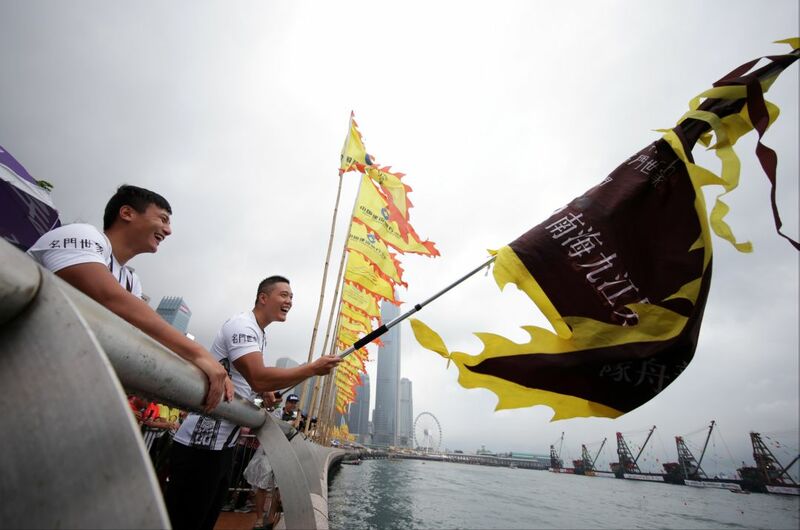 Hong Kong celebrates the Dragon Boat Festival with three days of races and parties as part of the 40th anniversary of international dragon boat racing. Photo: REUTERS/Jeremy Lee. General view of flags. 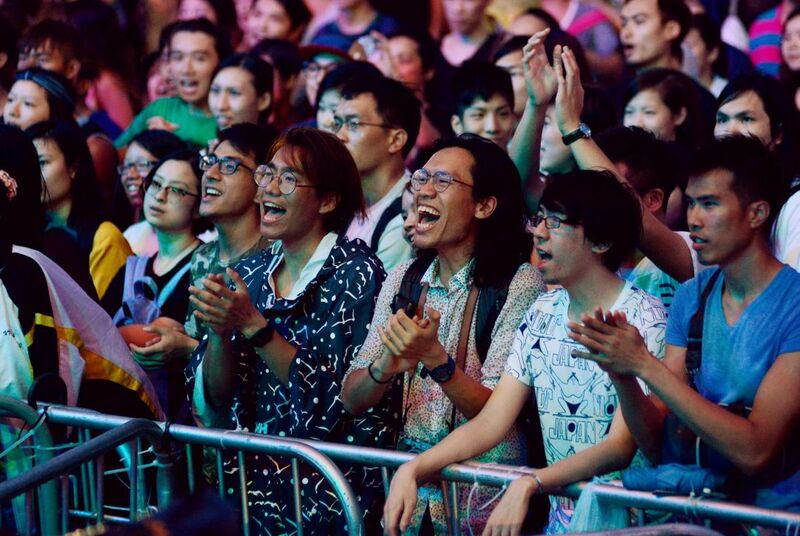 Hong Kong celebrates the Dragon Boat Festival with three days of races and parties as part of the 40th anniversary of international dragon boat racing. Photo: REUTERS/Albert Bonsfills. Windsor Arch Nanhai Jiu Jiang Men’s Dragon Boat Team celebrates after winning the CCB (Asia) International Open Grand Championship. 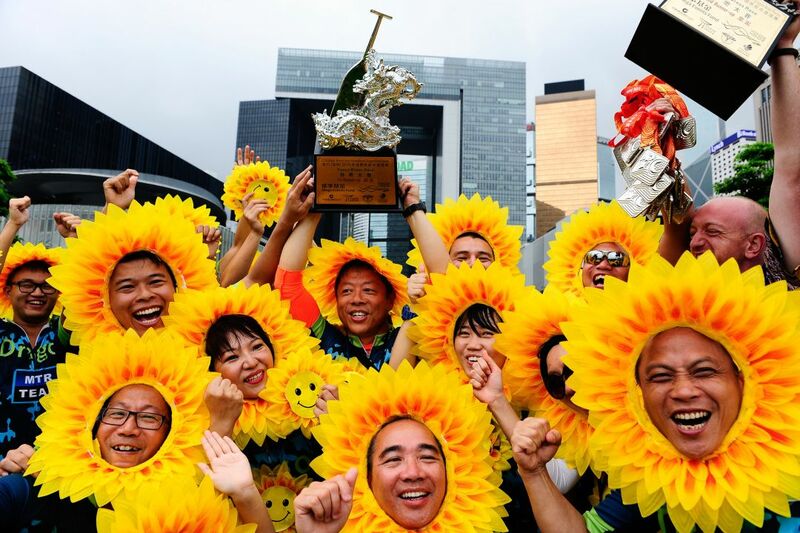 Hong Kong celebrates the Dragon Boat Festival with three days of races and parties as part of the 40th anniversary of international dragon boat racing. Photo: REUTERS/Jeremy Lee. 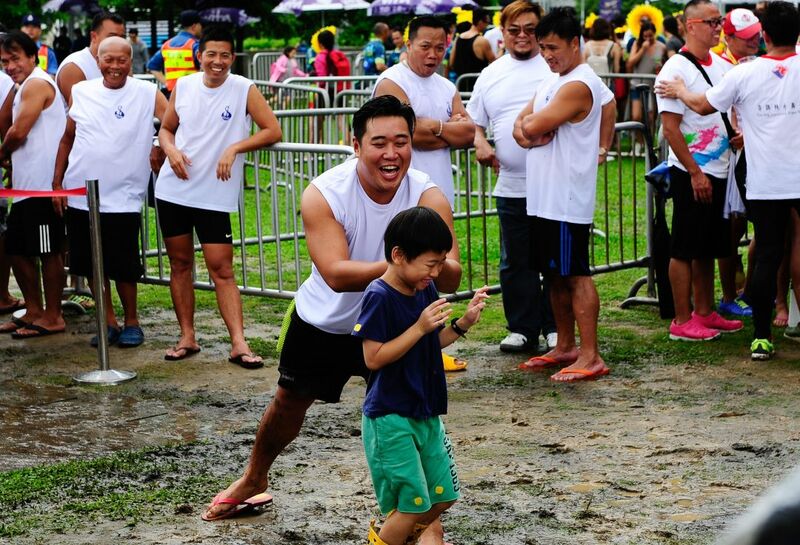 Members of Windsor Arch Nanhai Jiu Jiang Men’s Dragon Boat Team cheer on their team during the CCB (Asia) International Open Grand Championship final. 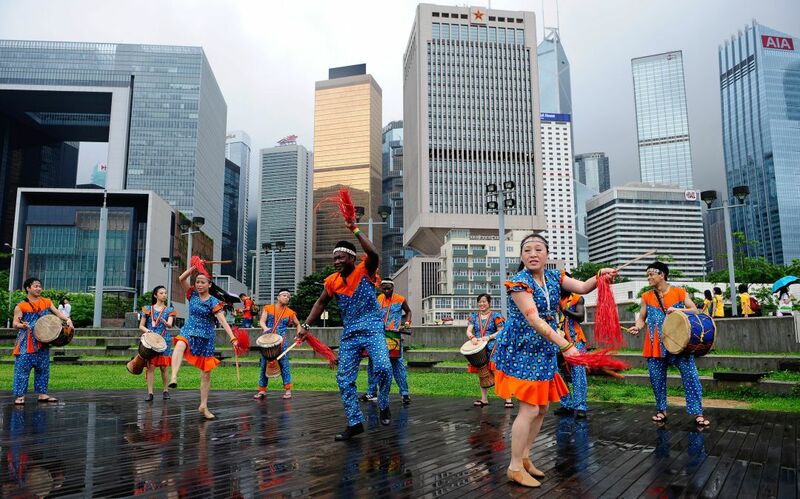 Hong Kong celebrates the Dragon Boat Festival with three days of races and parties as part of the 40th anniversary of international dragon boat racing. Photo: REUTERS/Jeremy Lee. Fans of Chochukmo cheer during their performance. 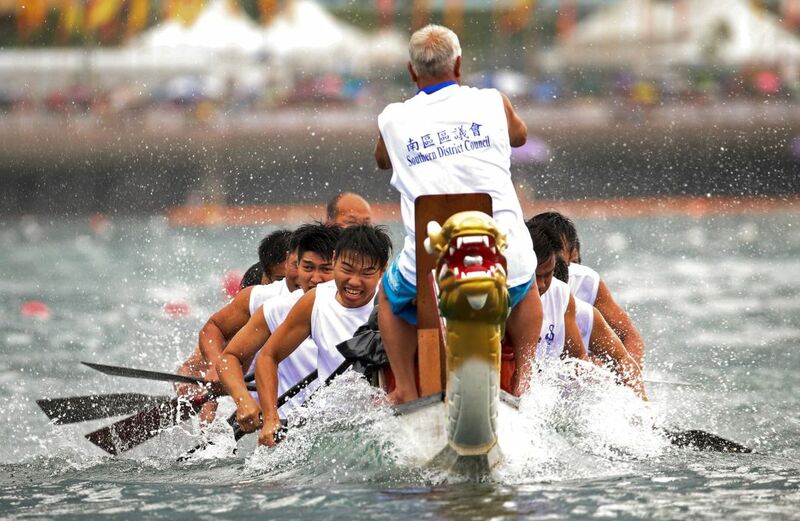 Hong Kong celebrates the Dragon Boat Festival with three days of races and parties as part of the 40th anniversary of international dragon boat racing. Photo: REUTERS/Albert Bonsfills.